This small town is surprisingly well fortified for its size. Sunshield Hold is located in the Free Lands, between the Kingdom of Mondolin and Harodiel. It is the home of the Order of the Sun, a small Human sect that believes in cooperation with other races, and maintaining peace. Initially the Hold was constructed as a watch-post to warn against Eldari attacks. After it was deemed unnecessary, it was taken over by the original Order of the Sun, who upgraded it into the fortress that exists today. Originally known as the Dawnfort, The Red Dawn Fortress is a former military base in the freelands. It was once owned by the Kingdom of Mondolin, but is now inhabited by the Knights of the Red Dawn. The Knights believe that true conquest is the way to survive The fortress and its neighboring villages are ruled with an iron fist by the Knights, a brutal form of martial law. However, the citizens believe that this is the way of things, and obey loyally, all aspiring to one day join the ranks of the Knights. The city of Karem is a cutthroat business to be sure. 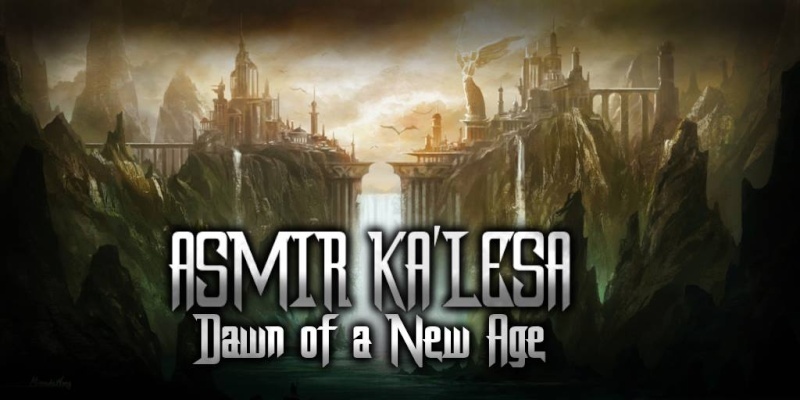 Formerly the domain of the Karemma Guild, Karem is now in the control of the Nyberrite Alliance. A city full of shady alleyways and shadier characters, visitors learn very quickly to keep their heads on swivels, lest they become permanent residents. There is a lucrative black market here, for those who have the stomach and guile to brave it. Karcanak is a prominent city that boasts considerable wealth and Utopian beauty. However the city has a dark heart, it was built on the backs of slaves. Karcanak is a supposed supporter of the alliance and purchases the majority of its slaves from Karem. Located close to the heanta border, Karcanak also enjoys a profitable trading relationship with heanta, selling and gifting them humans slaves to grow influence with Kyrias. Edaria is a true free city, free of the influence of both the twisted Alliance and the manipulative Conclave. Edaria is ruled by Aline Drexara, an Asantari who left Edia 100 years before to live with humans. Edaria is a haven to all people, and those who wish to live in safety and peace are welcome. Edaria is one of the most powerful cities in the free nations, but holds a very neutral stance. Despite this, any attempts to take the city by force have failed miserably.